This is a CVMG-wide program to promote the use of our older machines in a fun setting. Completing these selected tours to sites of historical interest earn you credits that can be redeemed for special commemorative regalia. Participants can claim a maximum of 3 tours each year. Be sure to check the Ride Status page on the morning of the event. Hosted by Jason Hart, the route is about 100Km from Maple to historic Horning’s Mills. We meet for breakfast at Tim Horton’s at 9am, depart at 10am sharp (click for directions below). The ride to Horning’s Mills is less than 2 hours, with rest stops along the way. After the visit, we’ll stop for lunch nearby in Shelburne, then take a different route back to Maple. Jimmy Traynor has a ride to the Buckhorn area on some very nice scenic roads. We'll start with breakfast at Famous Sam's at 9am, depart at 10am. It's about 2.5 hours to Buckhorn, rest stops along the way. Check the GPR website closer to the date for more details. Starting at Famous Sam's, let Andrew Harris take you down some of southern Ontario's less travelled roads - some paved, some less so - to the historic mill at Tyrone. You will have lunch in Tyrone, then back home. 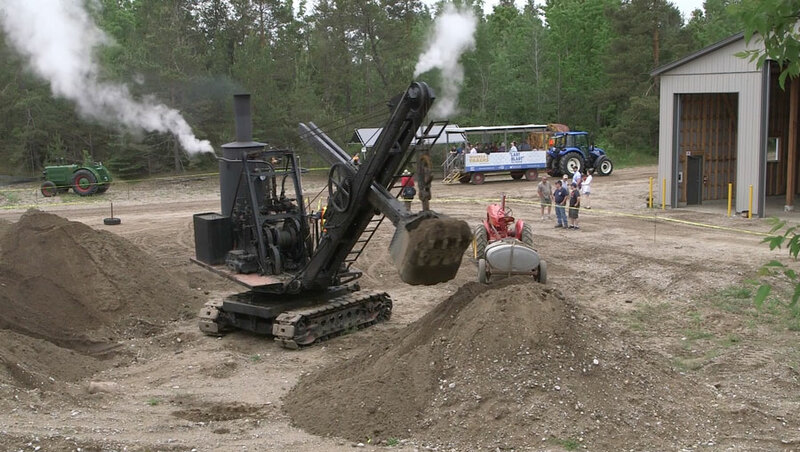 The Historical Construction Equipment Association holds a fall open house each year. This is an opportunity to see vintage construction machinery in operation. We'll depart Famous Sam's at 9:30 am for a 1.5 hour ride on secondary paved roads to the Simcoe County Museum in Minesing where the open house is located. A small admission fee applies.